This weekend is bursting with fun fall activities. If you haven&apos;t made plans yet, don&apos;t worry. Here are three fun last-minute getaways. Downtown York will is the place to be on Friday, as shops, restaurants and more offer up special activities and deals for First Friday. This month&apos;s theme is Harvest Fest and features a spooky art show for children, fall foods and fashion options fitting for the season. Plus, check out the Golden Plough Tavern, one of the many historical sites in York, for a Tales & Ales beer tasting event. Enjoy some craft beer and music and then listen to harvest stories from the colonial times. If a night in the city doesn&apos;t strike your fancy, enjoy small-town fun as Daughters Café on Main in Jacobus will also be partaking in a First Friday event. 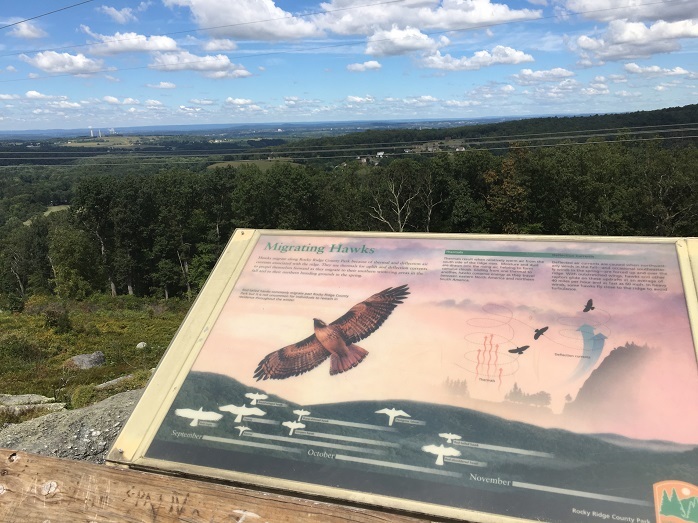 Take in stunning views of the York County countryside as you watch hawks soar in the sky above during the Hawk Watch at Rocky Ridge County Park. The event runs 9 a.m. to noon and is free of charge. October is a great time to see these amazing birds of prey. Don&apos;t forget your binoculars and lawn chairs, either. If you&apos;re lucky, you might see a kettle of broad-winged hawks! Afterward, take a fall hike along 12 miles of trails. York County&apos;s German heritage runs deep, so it&apos;s no surprise Oktoberfest celebrations abound. This Sunday, find authentic German food, traditions and entertainment at John Wright Restaurant, one of the finest farm-to-table restaurants in York County. The event runs noon to 4 p.m.
With the majestic Susquehanna River directly outside the restaurant&apos;s windows, John Wright Restaurant also offers one of the most picturesque views found in the area. After grabbing some lunch, check out the nearby fall foliage hotspots in Wrightsville. And, as always, York County has plenty of lodging options for anyone playing a last-minute weekend escape.